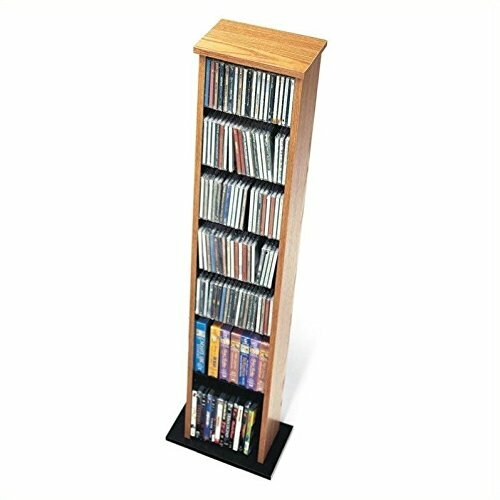 This neat and compact multimedia storage tower is ideal for small collections or limited spaces. Fully adjustable shelves can be set to any position to accommodate your collection and ensure full flexibility for future changes. Tops and bases are made of profiled MDF and bases are enlarged for extra stability.